Bikini Diets. They are so alluring. This time of year is notoriously THE BIGGEST money generator for the diet, weight loss and arguable the fitness industry, as hundreds of thousands of women around the world, buy into the quick fixes, cleanses, detoxes and fad diets in the hope of having a flatter tummy, smaller thighs and less weight for their summer holiday. I did them all at one point or another. 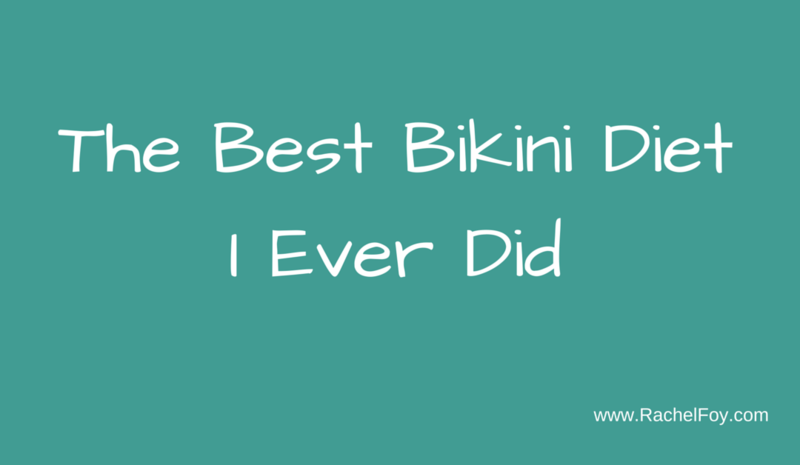 But a few summers ago, I found a bikini diet which really worked and I’ve never looked back. As the summer is almost upon us, I wanted to share with you the best bikini diet you will ever need if you truly want to feel confident in your skin, happy in yourself and have the most enjoyable summer holiday ever. There are 6 steps, which I’ll break down for you now. Simply follow each step first thing in the morning as soon as you get up, ideally with your cup of tea and carry on this diet for as long as you require until your desired results are achieved. Use the money you were planning on spending on a diet, detox, cellulite treatment and splash out on a pamper day, spa day or something extra delightful and luxurious for your holiday. Shoes, there are always shoes!!! You can never have too many shoes!!! Learn to be happy for who you are! Self acceptance and self love are so important on this bikini diet. Your body has been there for you every single minute of every single day since the day you were born! She has carried on despite your judgemental comments and she has stayed with you despite your criticisms. Cut her some slack! She’s doing an amazing job at allowing you to fully experience this wonderful thing called life! Losing weight really won’t make you happy or make you enjoy your summer any more ( I know you might find that hard to believe, but it’s really true). Losing weight is not the key to the ‘happy life’ door. Instead it’s about loving your body, accepting your body and stopping the judgement and criticism. To feel confident in your body and happy in your life, it’s not about focusing on the food and dieting, it’s about focusing on living your life to the full………. something which diets are very good at taking away from you. Start making choices which empower you and make you feel good! Choose to embrace your body for what she is, a vessel which allows you this incredible expereince called life, she’s where you live. The final step on this amazing bikini diet, is the ultimate way of getting that bikini body. Get your body…and put her in a bikini! There you have one bikini body! Fancy trying this bikini diet this year? 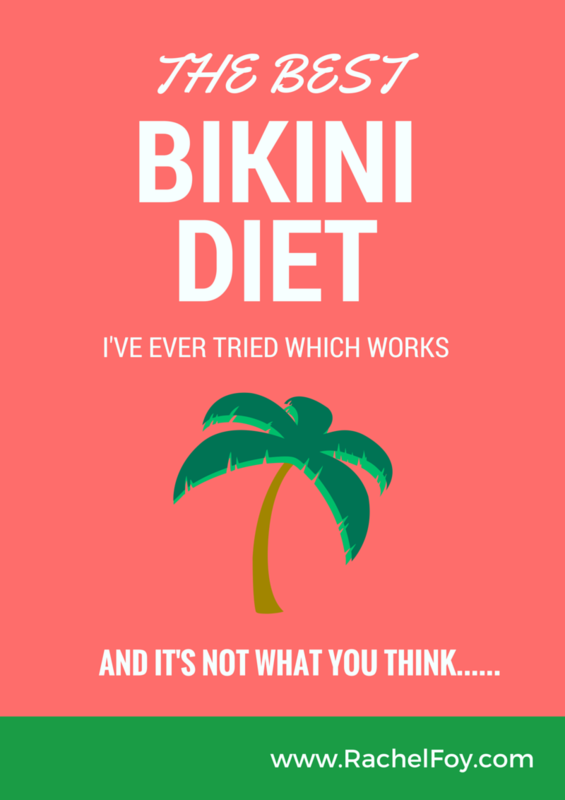 Share this post if you do and let’s see how many women we can get on the new Bikini Diet of not dieting!